The Louvolite natural wood weaves collection is an exotic mix of woods and bamboos that filter light into your room creating a calm soothing ambiance. Specially selected from sustainable forests around the world, wood weave blinds will bring in a more natural feel to your home. With a choice of roll-up or Roman styles from which to choose, each blind has a unique characteristic to suit the light and shade requirements of your room. 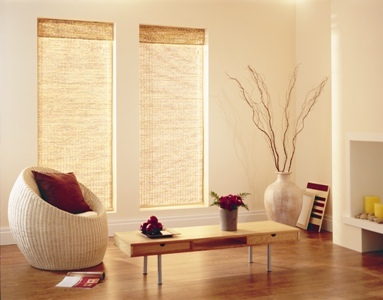 An exciting selection of braids and accessories are available to help fashion a window blind as individual as you are.